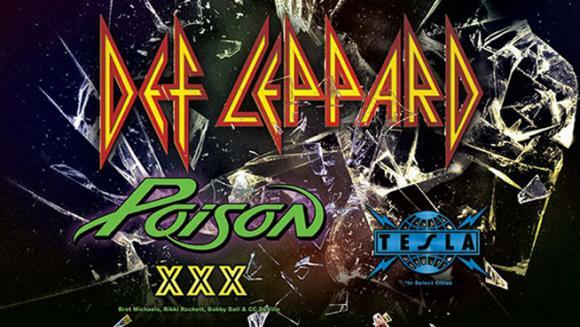 80's metal lovers rejoice, for Def Leppard, together with fellow glam metal band Poison with support from Tesla, are coming to MGM Grand Garden Arena on Saturday 17th June 2017 as part of their massive 3-month long summer tour!!! Still going and still great, achieving number 1 on the charts with their most recent DVD release, "And There Will Be A Next Time – Live From Detroit," you CANNOT afford to miss these legends live!! Def Leppard are one of the biggest bands and most successful bands of the 80's by a clear margin. Gaining vast popularity for their innovative blending of hard rock, pop and heavy metal, they were considered part of the new wave of British heavy metal in the 70s, and by the mid 80s, due in part to their massive mainstream success, were considered part of the glam metal scene – having a big and distinct impact upon both!! Cited as an influence by artists as diverse as Pantera to Taylor Swift, Def Leppard are one of the most important and influential bands of the 80s. Ranked one of the “Top 5 Hair Bands of the 80s” by VH1 in 2012, Poison are a staple of the 80s and 90s, achieving phenomenal success during those years and sustaining and enduring legacy. Since their 1986 debut, the band have charted ten singles in the top 40 of the Billboard Hot 100, including six in the Top 10 and the number-one hit “Every Rose Has Its Thorn.” Finally, we have opening act Tesla, fellow 80's heavy metal rockers, with record sales of over 14 million in the United States!!! 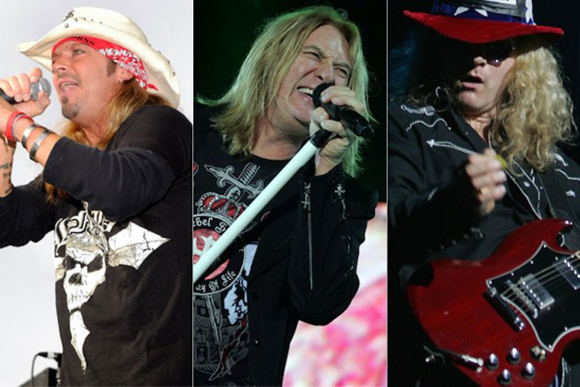 Don't miss out – get your tickets to see Def Leppard TODAY!! !